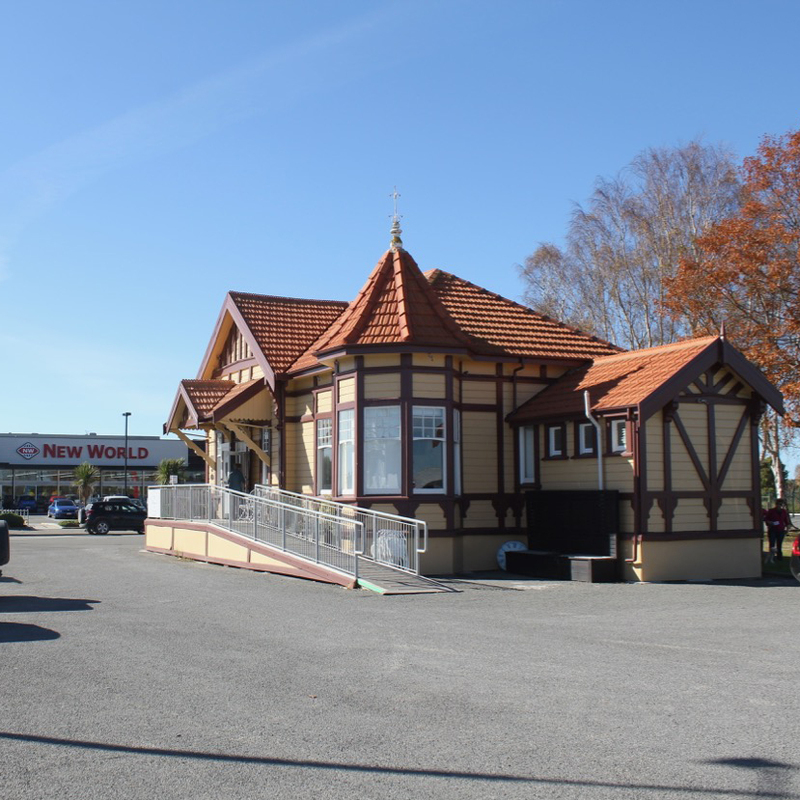 Paris For The Weekend - French Cafe, Located Across From New World Kaiapoi. Paris for the Weekend is an exciting new cafe that offers Country Fare with a French Flair. 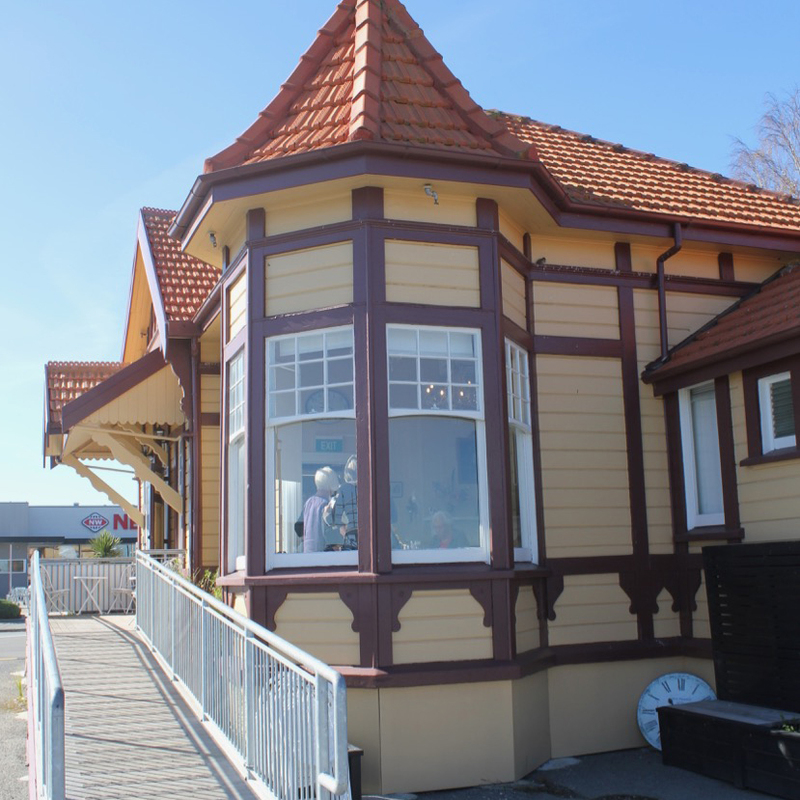 Located in the historical former railway station building in Kaiapoi, opposite New World, the cafe offers a wide range of teas, coffees and cold drinks plus delicious home baked food. The cafe is a mix of old world charm, warm friendly service and a hint of Paris set to some soulful French music. Teas and our ever popular High Teas are served using bone china from yester year. Breakfasts, platters, crepes, lunches and the usual array of sandwiches, savories, cakes and scones are available as well as gluten and dairy fee options. There is outdoor dining available, wifi access and excellent heating and cooling to suit the seasons. Ample car parking is available within a few metres of the cafe plus wheelchair access. No parking metres here to spoil your day. Please click the map for full directions or zoom in to view our cafe location. We are located directly across from New World, Kaiapoi. Two crepes served with your choice of filling. Gluten free crepes available. Gluten free, dairy free, vegan and vegetarian high teas are available. Reservations essential on all high teas please book below. Enjoy a smaller version of our high tea with a delicious club sandwich, scone with jam and cream, sweet treat and a hot drink. Enjoy a savoury, fairy bread, cupcake, chocolate duck and a fluffy. Ice cream, our own homemade chocolate sauce, whipped cream topped with marshmallows and a chocolate fish. Book Your High Tea With Us Today. Please fill out our booking form and one of our staff will contact you to discuss any further requests and confirmation of your High Tea booking within 24 hours. Wheel chair access is available and there is plenty of parking close by. Please click on our google maps so you can find us. We are right across the road from New World, Kaiapoi! Please add your email address so we can confirm your booking. Please tell us any extra information here, special requests or questions. Call (03) 260 0011 from 9:00am – 4:00pm daily, or book online via our booking form above. .
Reservations required for all high tea bookings with us. Wheel chair access available and plenty of parking. We are located across from New World, Kaiapoi.